KATCHA APC CONGRESSES TURN BLOODY AT MINNA GOVERNMENT HOUSE. 15/05/2018 15/05/2018 adminNewsNo Comment on KATCHA APC CONGRESSES TURN BLOODY AT MINNA GOVERNMENT HOUSE. The just concluded APC congresses in Niger has come but has not gone in peace, as peaceful protesters against the imposition of the current party chairman led my some members of the party to government house were attacked. 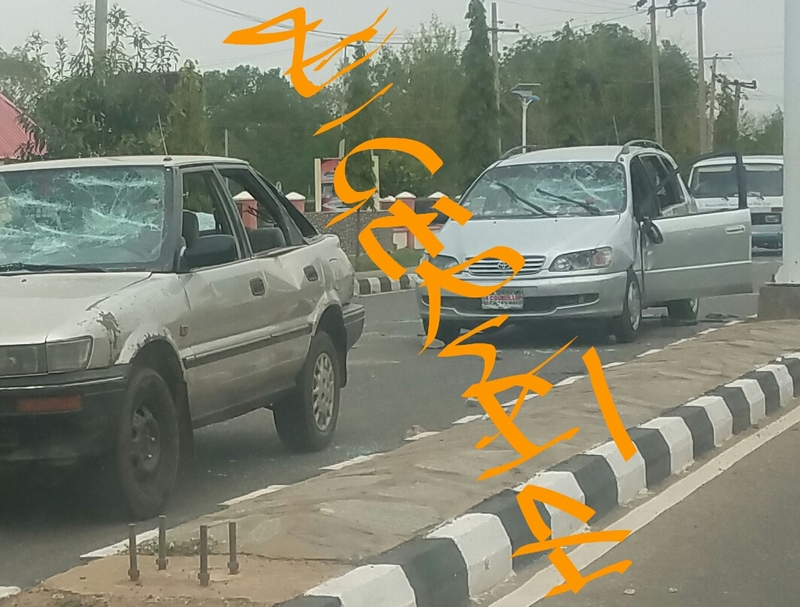 Nigerwatch Newspaper observed that about 6 more vehicles were damaged while police stood guard to forestall further crises. All efforts by this newspaper to get the reaction of names mentioned proved unsuccessful, but a state APC executive member who doesn’t want his name in press, said all these crises are caused by the Deputy Governor, and Engineering Daban. Also, the press secretary to Governor Abubakar Sani Bello, Mr Jibrin Baba Ndace said, ordinarily a protest shouldn’t have come to government house but to the party secretariat where the Congress committee and a committee headed by the Deputy Governor Ahmed Ketso are. When asked what is the Governor’s reaction to the attack on party members at the Government, Mr. Ndace said “I am not aware of that”. Effort to also speak with the police force public officer, Dainna Abubakar was unsuccessful as his phone kept ringing without been picked as at the time of going to the press.